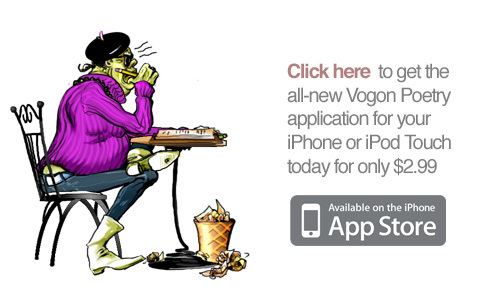 Vogon Poetry is now available for iPhone and iPod Touch! At the request of the lawyers representing the estate of Douglas Adams I've removed our Vogon poetry app from the store. I'm hoping that they will be amenable to a possible mutually beneficial solution going forward that will let us add it back. Their stance is that they own the concept of Vogon poetry and that since our app relies on this notion it is covered by their intellectual property and we are not allowed to use the concept without permission. I've sent communication requesting this permission and we'll see what develops. Our apologies for the app not being currently available for sale anymore until we get this resolved.